← What is Crisis Mapping? Good luck w #Isaac http://t.co/13PNf9Qx RT @ShelbyElaineee Going through my first hurricane, I'm Actually really scared. In this tweet, a person states “Going through my first Hurricane. I’m actually really scared.” The American Red Cross answered them by retweeting and adding a simple “Good Luck” to the message, but they also included a link to preparedness information. At first glance this tweet doesn’t seem that noteworthy. 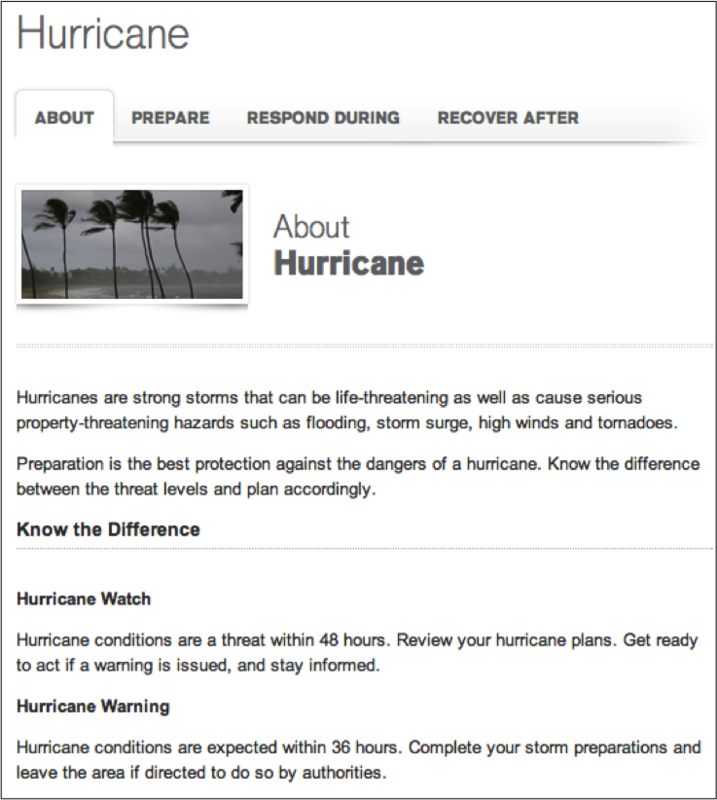 Upon full inspection, however, it can be seen as a representation of how monitoring social media with specific key words (in this case it was probably “hurricane” since the tweet did not mention Isaac) can create opportunities for engagement, a way to share vital information, as well as a way to help people going through stressful situations. Furthermore, the ARC tweet was repeated 17 times, reaching 1000s. The citizen that sent out that tweet to no one in particular was probably surprised that the American Red Cross responded to them. They might have felt the “digital hug” that the ARC likes to talk about when discussing their social media efforts, and I bet she felt a bit of reassurance–something along the lines of “…if that organization is listening, then I might be able to turn to them if I need help.” I’m also hoping that the person checked the hurricane information page and took as many last minute steps to prepare as possible. What the citizen, I’m sure, didn’t understand, is the amount of dedication to social media monitoring it took to be able to answer them. The American Red Cross is legend in its social media prowess, and with good reason. They have devoted time and resources to social media, including carving out space in the Emergency Operations Center for a Digital Ops Center (complete with both hardware and software donated by Dell Computers) in order to monitor social media before, during and after disasters. Why have they committed such effort to social media? My guess is that they understand that it is almost impossible to engage with community members via social networks unless you understand the conversation, and in order to understand the conversation you have to be online, monitoring what is being said. They want to know: What are the concerns? What are people talking about where we might be able to offer assistance? What is needed from us? If your organization is using social media to simply push out your message, and you are not trying to participate in the conversation, then you are missing opportunities. Opportunities to show you care, as well as to educate. This entry was posted in Social Media and Emergency Management and tagged American Red Cross, Emergency Operations Center, Hurricane Isaac, social media, Twitter. Bookmark the permalink. Thanks for the post Kim, amazing and eye opening. Great find Kim. Thanks for sharing! Thanks for commenting everyone. The Red Cross does provide some awesome examples/good food for thought!